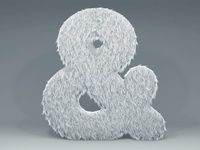 Furry Ampersand — A little furry Ampersand created in C4D. Shamon Cassette Cress Up Doll — Little wardrobe changing gif of our Shamon Cassette character. 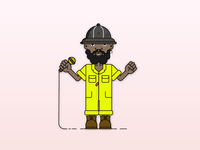 Shamon Cassette — Character design of musician and designer Shamon Cassette.